I can draw a pretty darn good map of Australia free-hand. Edmund in The Lion, the Witch and the Wardrobe. In a way, I think he’s even more of a villain than the White Witch. He knows exactly how to exploit his siblings’ weaknesses, which makes him tragic and fascinating and human. Edmund reminds me that we all have a villain inside us. Zadie Smith to chat with Barack Obama, Brene Brown to listen to David Foster Wallace, and Jonathan Franzen to watch it all go down and whisper his observations to me. I moved to the country about a year ago, and I have to drive three hours to the city pretty regularly. It’s surprising how often I find myself wishing the floo powder was real – that magic dust in Harry Potter that enabled people to travel from fireplace to fireplace instantaneously.It would really cut down on my petrol costs. All the doubts and fears. My big, faithful iMac, a vase of roses from my garden, a hanging moss ball, a cup of tea and a big, sunny window. Laurinda by Alice Pung. The word is ‘all’. All Tomorrow’s Parties – that was the nickname of their car and they loved it, that car, because when they were all in the car together, they were as much of a family as they could be with the middle seat empty now. I would ask Alice Munro if she knew – really knew – how much joy she had brought to the world. Then I would say thank you. Never write another story – easy! Writing brings me equal parts torture and bliss, whereas reading is mostly just pleasure and wonder and awe. 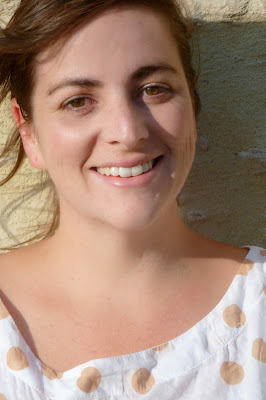 Davina Bell is an Australian writer and editor. She has contributed to the wonderful historical junior fiction series Our Australian Girl, sharing a year in the life of Alice, a ballerina growing up in Perth during World War I. 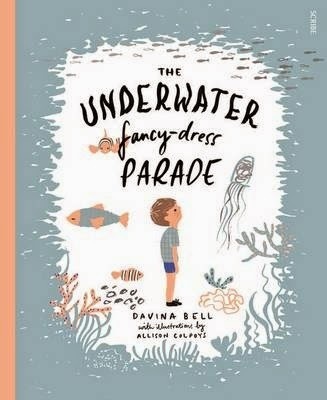 Her latest story and first picture book, The Underwater Fancy-Dress Parade (KBR review), is illustrated by Allison Colpoys and published by Scribe Publications. Visit Davina's website for more information about her books and writing.